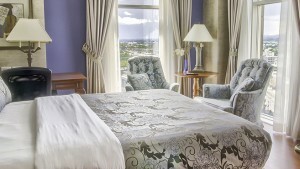 While surrounded by the elegance and comfort of the one of our 234 rooms and suites, you will be able to enjoy exhilarating views of our oasis or be transported to the island of Orleans with panoramic views. 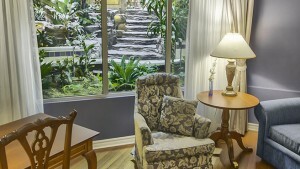 Wherever you are, it’s breathtaking a experience. 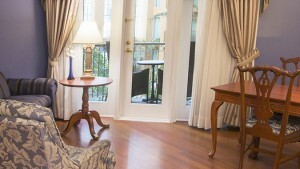 If a room has a balcony, this will be clearly indicated. 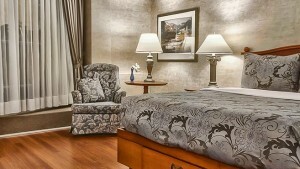 Room with queen bed, hypoallergenic comforter and wood floor. 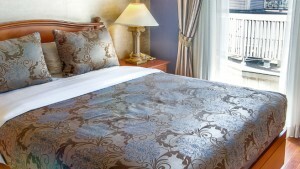 Room with queen bed, hypoallergenic comforter, wood floor and view of the inner garden. 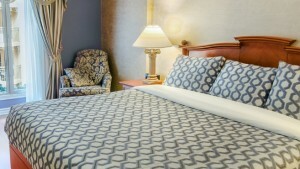 Regular room with queen bed, hypoallergenic comforter and wood floor. 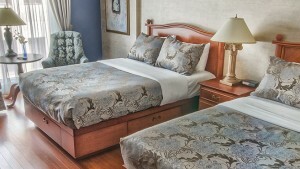 Deluxe room with queen bed with hypoallergenic comforter, double sofa bed and wood floor. 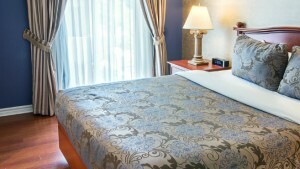 Deluxe room with king bed, hypoallergenic comforter, double sofa bed and wood floor. 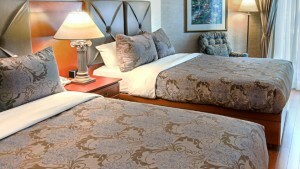 Bedroom suite with wood floor and two rooms: bedroom with queen bed with hypoallergenic comforter and living room. 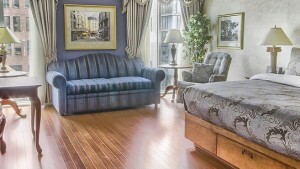 Bedroom suite with wood floor and two rooms: bedroom with queen bed with hypoallergenic comforter and living room with double sofa bed. 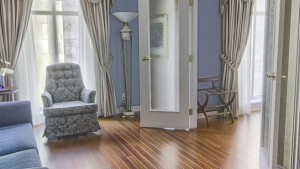 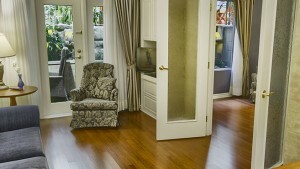 Bedroom suite with two rooms, wood floor and view of the inner garden. 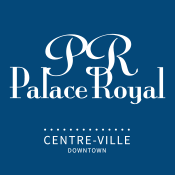 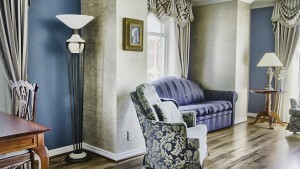 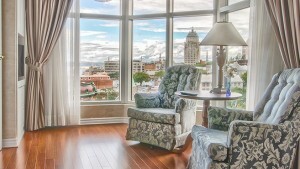 Family Suite with two rooms, wood floor and beautiful Place D’Youville view. 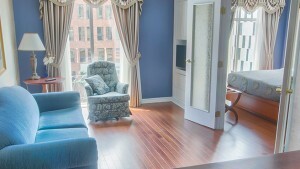 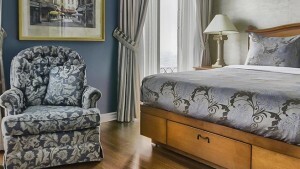 Family Suite with two rooms, wood floor and beautiful Honoré-Mercier avenue view.